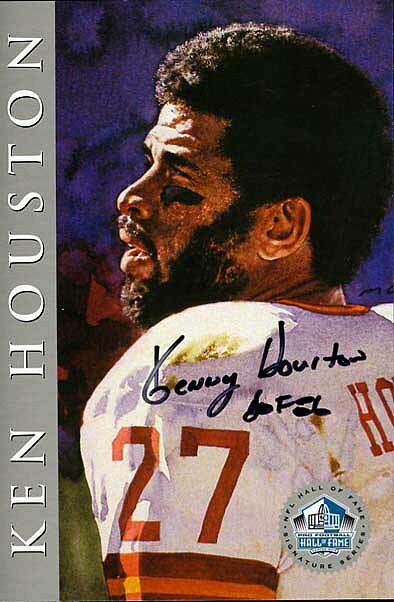 In 1998 Ron Mix released a series of signed cards. 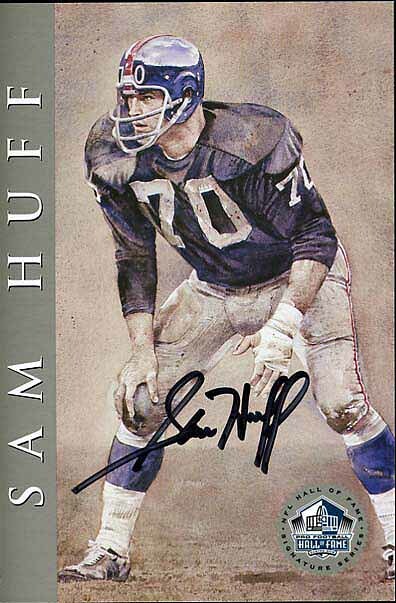 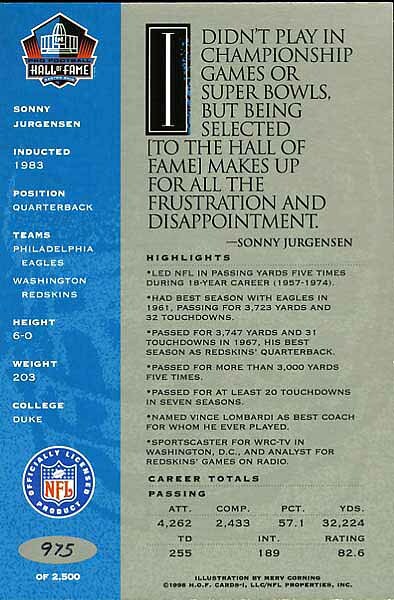 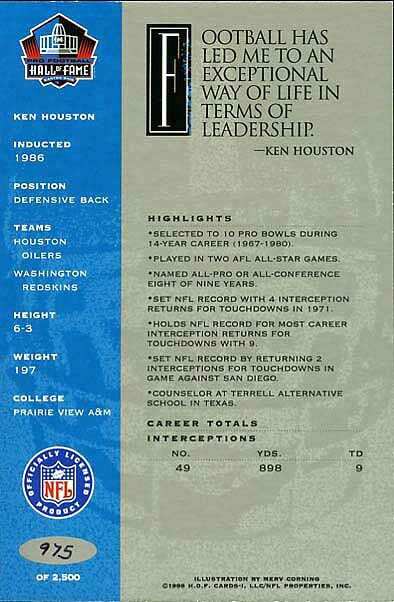 All living Hall-of-Famers except one signed these cards. 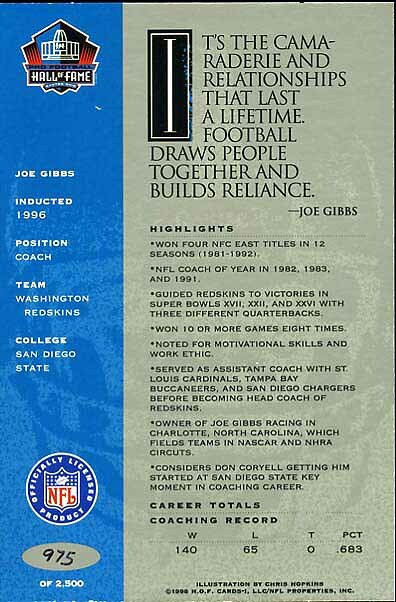 I believe the one living Hall-of-Famer that did not sign was John Riggins. 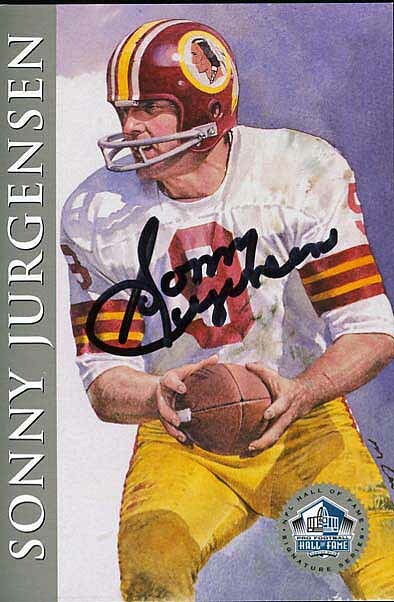 Fortunately, John Riggins loosened up in later years and there is a lot of signed Riggins stuff out there now. 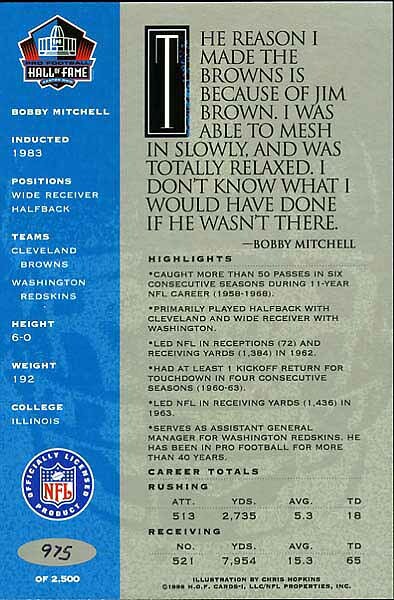 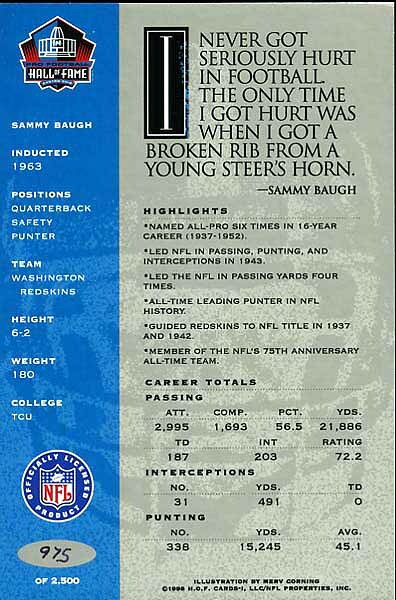 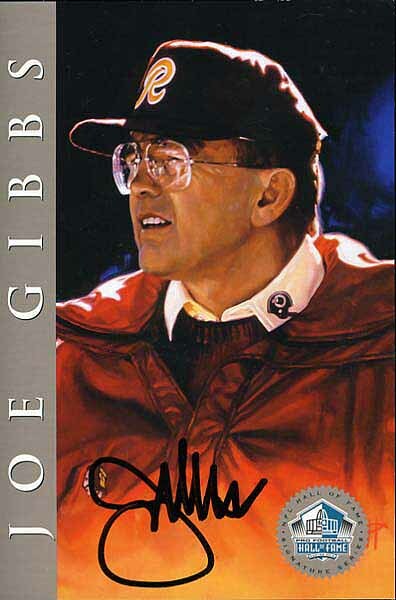 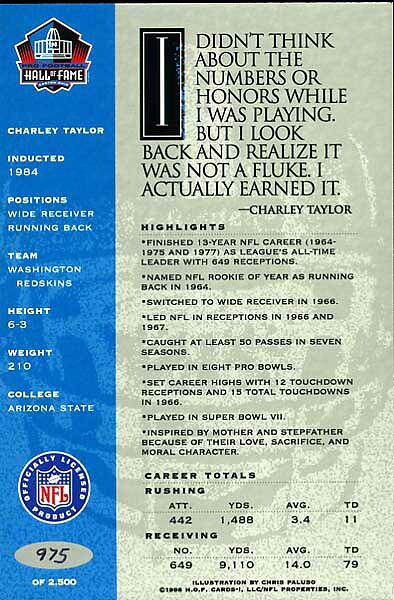 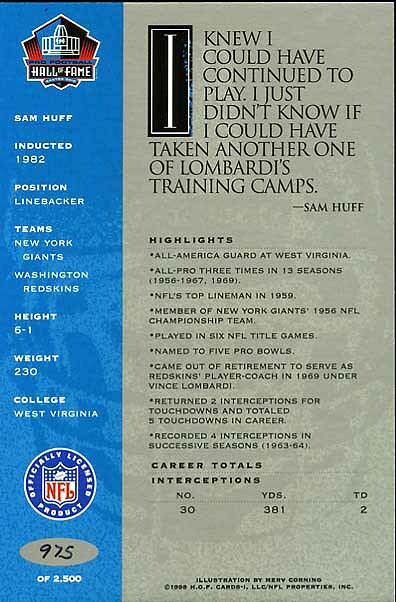 I believe these cards were sold to benefit retired football players. 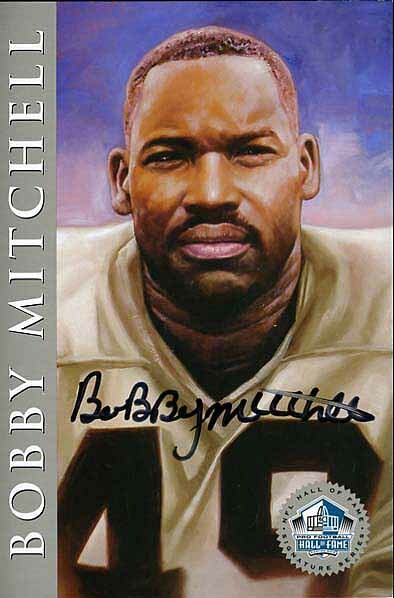 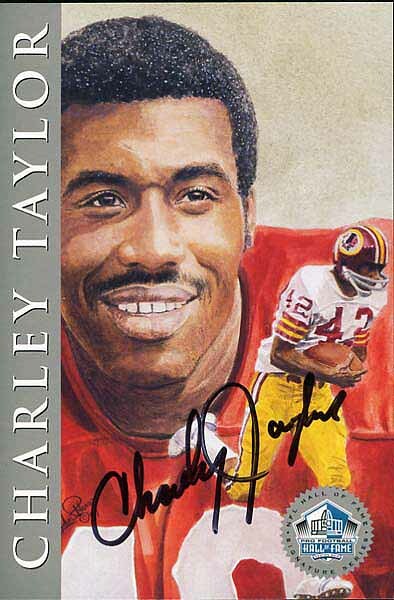 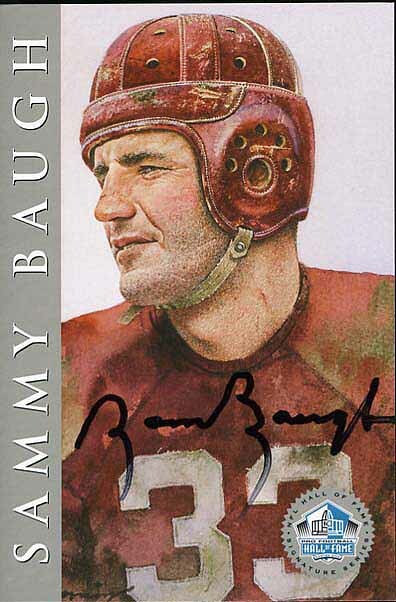 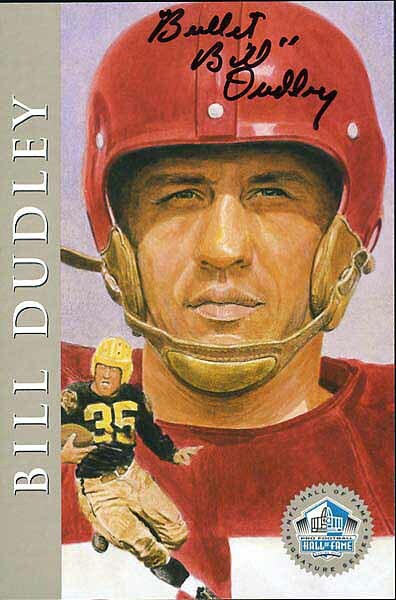 Below are all the Redskins football cards in the set. 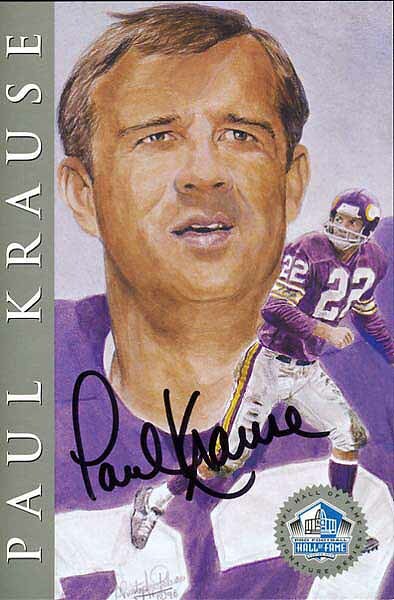 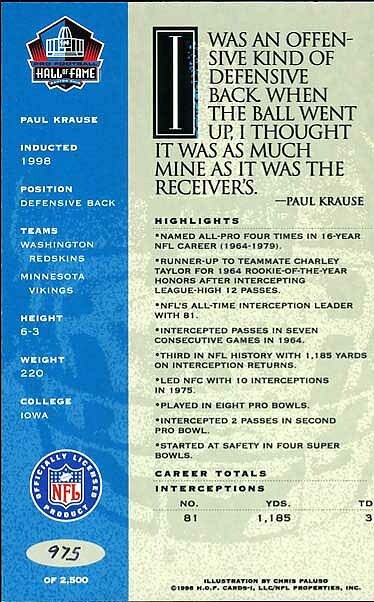 I have included Paul Krause even though the Hall-of-Fame does not list him as a Redskins HOF’er. 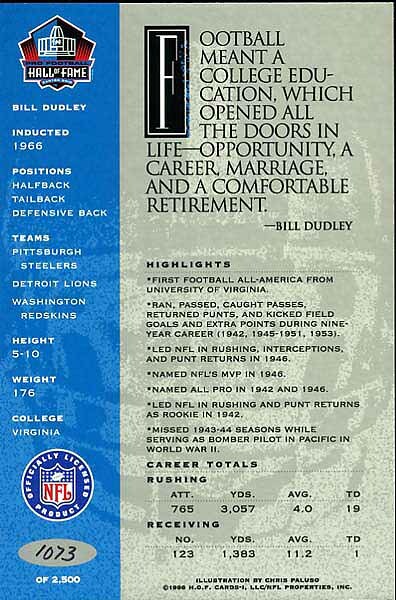 This is a well designed set and you can tell that a lot of thought and care were put into it.